Useful Links, Tips, Comments and general Ramblings on microservices, infrastructure as code, automation, big data and messaging. I've been developing some basic android applications. After carrying out some testing using the emulator within eclipse I wanted to deploy the app to my phone so I could show to some customers. You'd think it would be fairly straight forward, not so. From the platform-tools folder it was showing no devices attached even though I'd connected my phone and I'd set USB debug mode according to the android SDK how-tos. 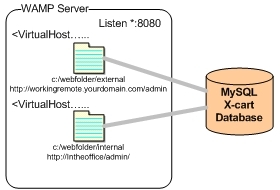 Recently I came across a problem where I needed to give users both internal and remote access to the admin features of an x-cart ecommerce site. Basically in this instance we host the admin portion of the site on an internal server and the actual online store is hosted in two data centres one in Ireland and the other in the UK. The problem I had, I wanted to use two different domains e.g. The problem with earlier versions of x-cart is that you can only assign a single domain name to the one installation. Recently I've been working on a project that involves creating an easy to use, quick way to rebuild a workstation in the event of a hardware failure. 1. There is no internet connection on this workstation. 2. The workstations work in a harsh environment on a network segment of their up 3. 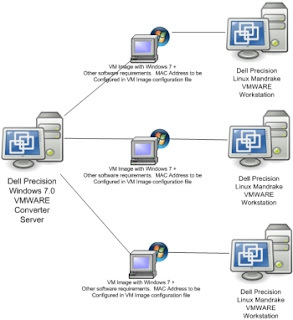 There is a manual procedure in place to allow you connect the workstation to a central company network where you can access central file shares etc. 4. This environment is replicated throughout the business at several locations each location been isolated as above. You can use tools like Ghost or Symantec System Recovery however I came up with this easy to use option that meets with the requirements of my client.